Oh hai there! Welcome back to my drifter challenge! Last time we did some gardening, got married, did more gardening, and then found out we’re expecting a nooboo! 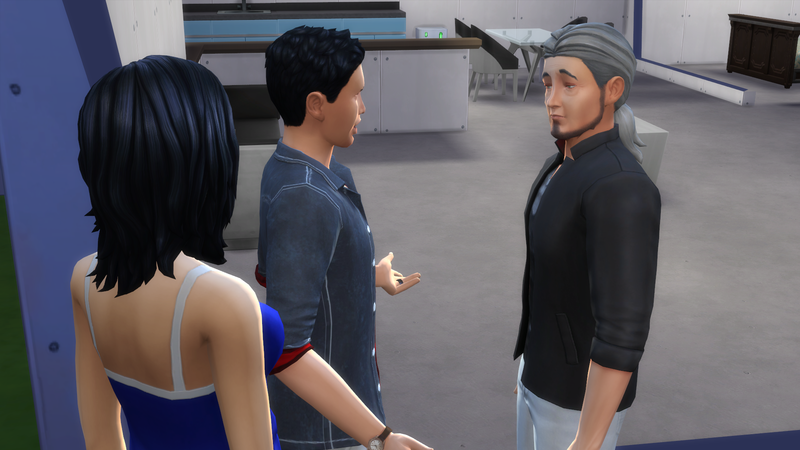 Lots of story progression stuff happens in this chapter, so grab your cocktails, wait, no. I didn’t say that. Grab your “juice” and here we go! 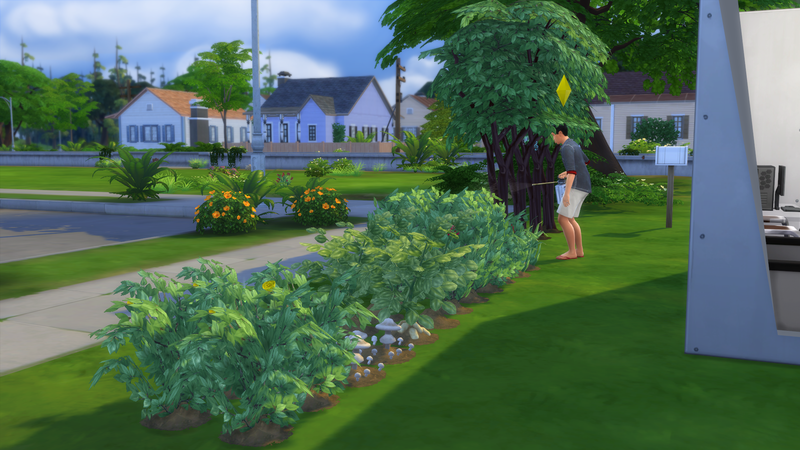 And it would be a drifter update without an obligatory gardening shot! Oh look! Dad came by for a visit! Elias: Oh yeah! Dad, this is Saya, my wife! Aaron: I know what you did… that’s gross. Don’t do it again. 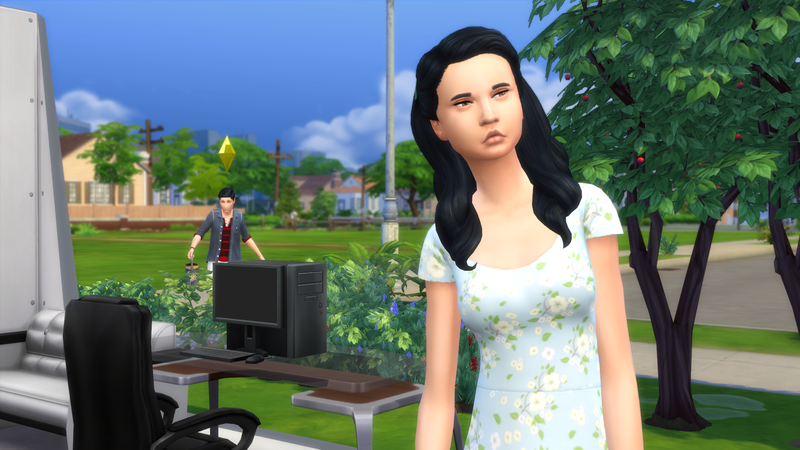 Dempsey came to visit, and she does not look happy about it… cheer up girl! You’re too pretty to be sad! 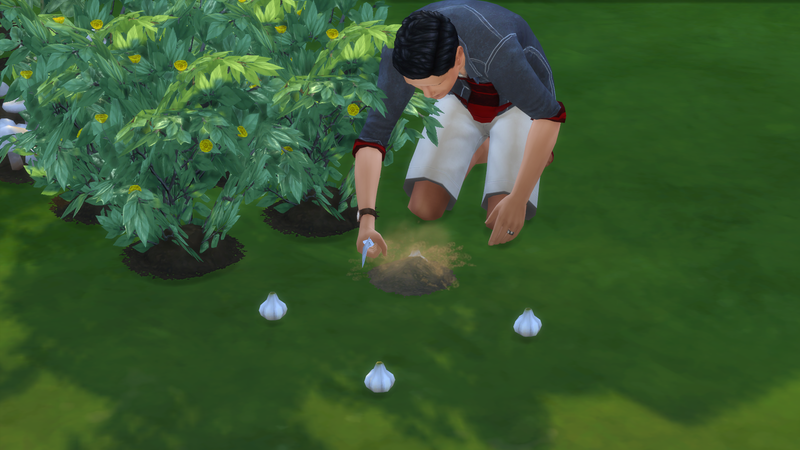 Remembering Vlad’s unfortunate visit, I made sure I bought some garlic to plant. Hopefully he’ll leave us alone. Oh no! That’s a really sad notification! Dad can’t die! He’s our founder! 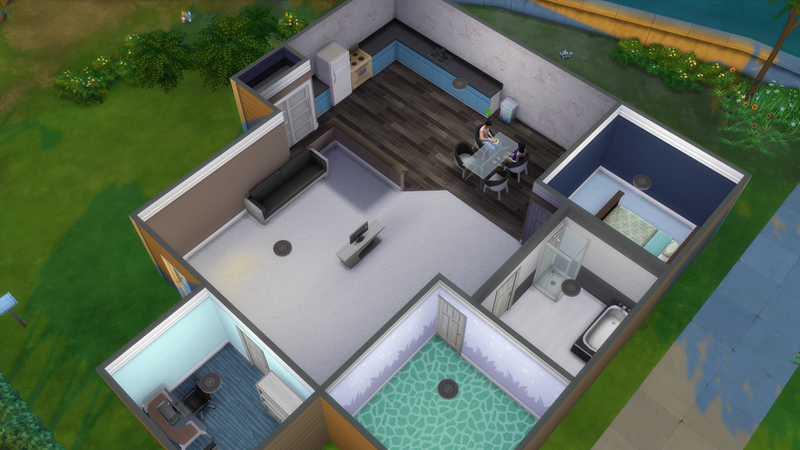 MAJOR house update! We’ve got our second bedroom and we added a closet in the kitchen (there’s gonna be a second door there, so it’s kinda like a coat closet). AND we’ve got all the floor and wall coverings! Yay! House value is now $24,773. 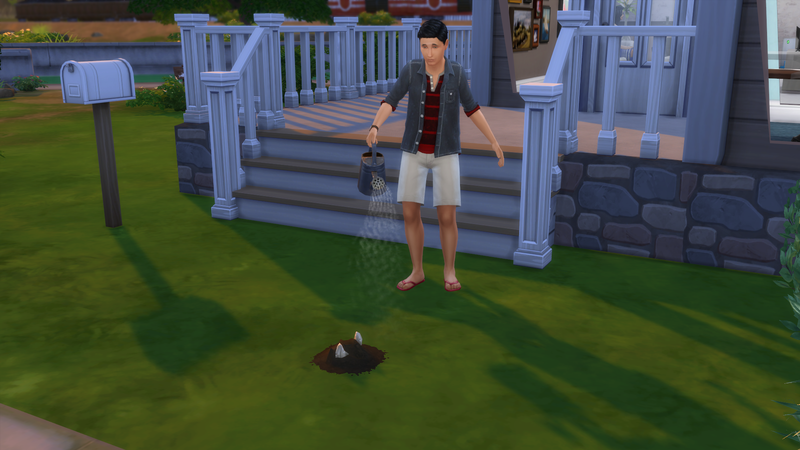 Elias maxed the gardening skill! That’s a first for me! Yay for drifting! Baby time! Here we go! 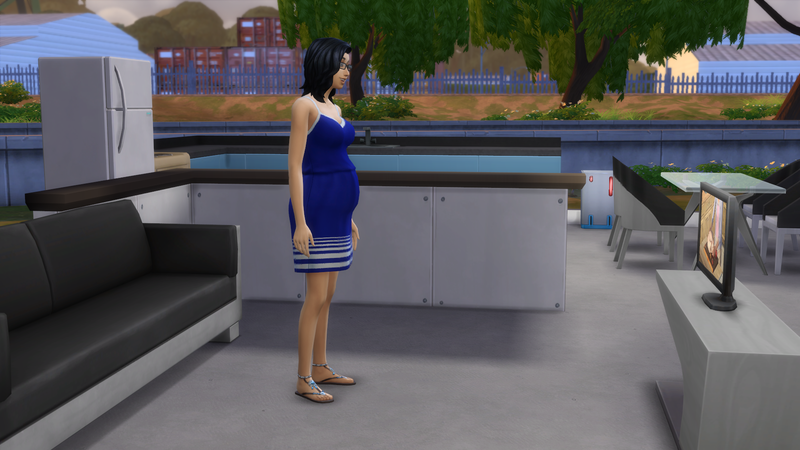 The heir is on it’s way! 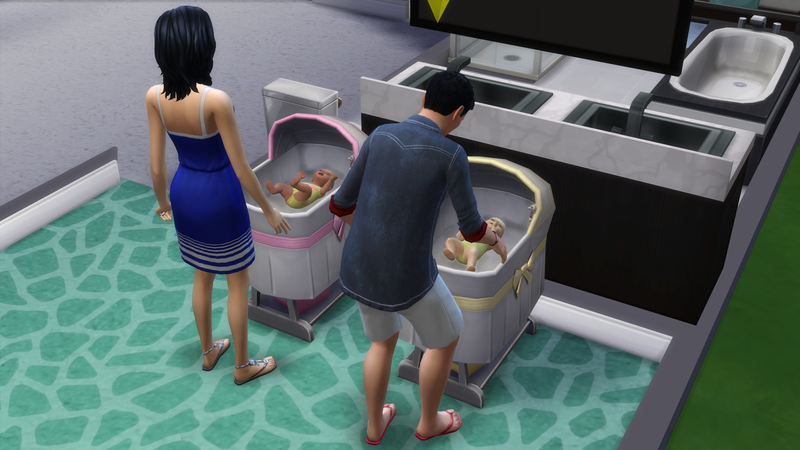 And it’s twins!!! We’ve got twin girls Eliza (first born in the yellow bassinet) and Olivia (second born in the pink bassinet). We added a foundation to up the value to $28,155. No no no no no! The garlic is supposed to keep you AWAY! Derp. Poor Elias. At least he didn’t do it three times in a row like Harley in my ISBI… and I’m glad it doesn’t count as negative points here! 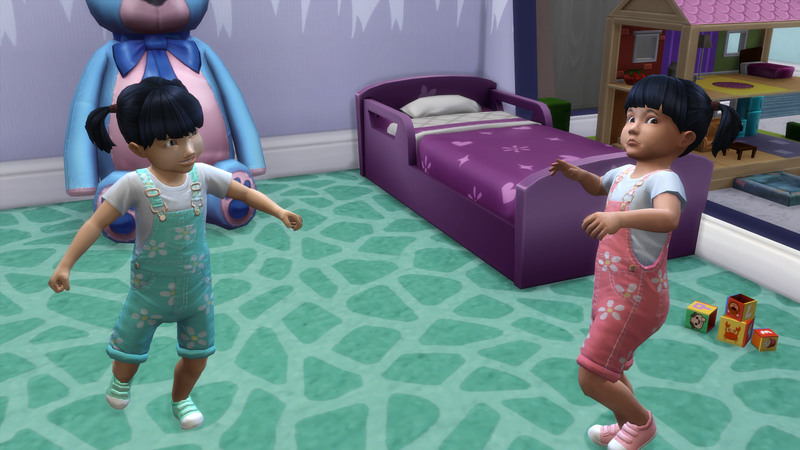 In a ray of sunshine in a dark night, it’s the twins’ birthday! And here they are! 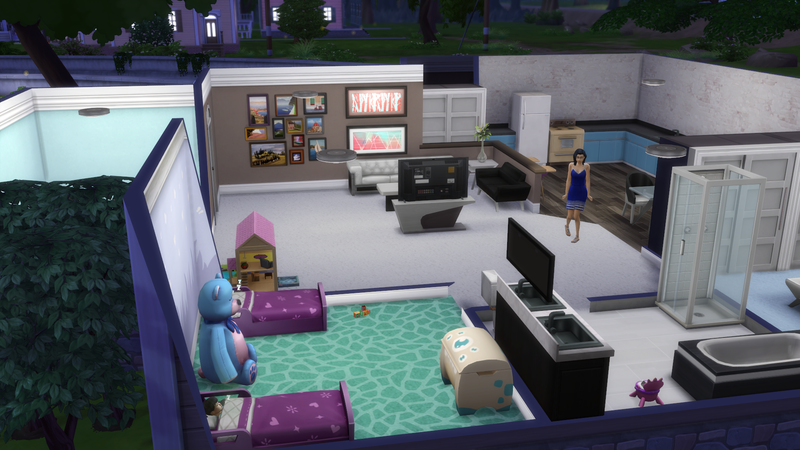 Eliza is in the aqua (funny I just realized that she blends in with the carpet…lol) and Olivia is in the pink! 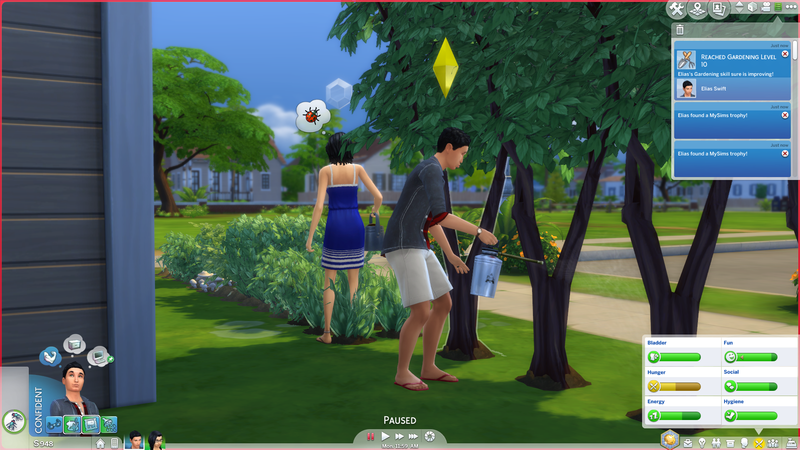 I have literally NEVER grown one of these EVER in all my time playing the Sims. 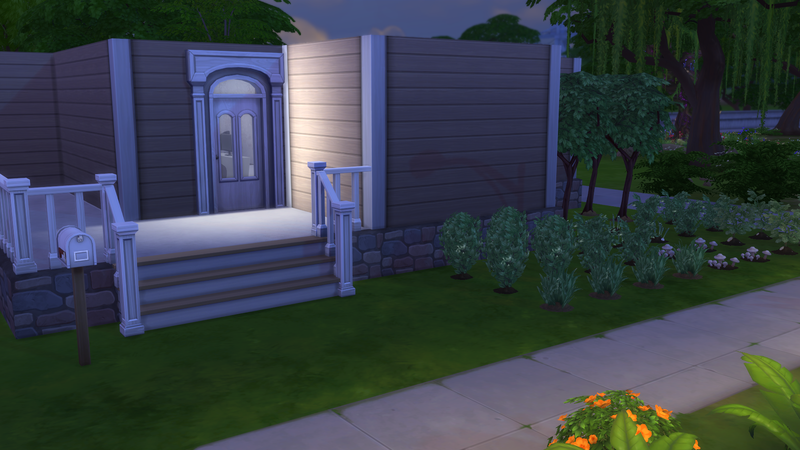 And that’s since the Sims 1. So this’ll be fun. I needed to grow one for his current aspiration, so fun times. Gahhh! And then this happened! Saya! Please try NOT to burn down our carefully crafted home in which you are a resident. It would be greatly appreciated. Elias to the rescue! 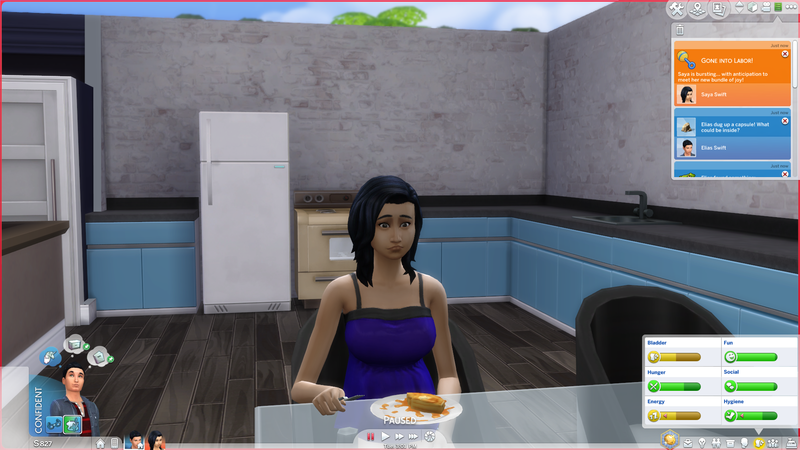 Meanwhile, Olivia’s in the high chair freaking out. 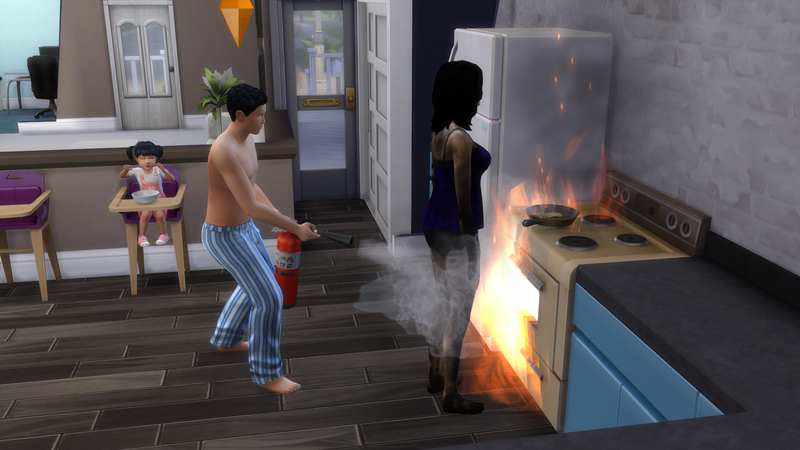 After Elias finished extinguishing the fire, he grabbed Olivia and ran to safety. Interestingly enough, no one grabbed our heir, Eliza… hmmmm, I see our priorities are messed up. 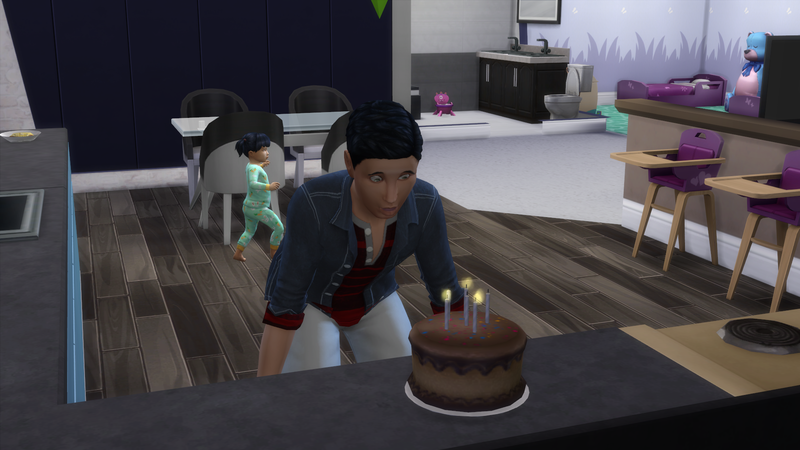 And we end this chapter with Elias’ birthday! And he’s obviously not thrilled about it. Don’t worry, I’m nervous too… I hope we didn’t wait to long to have kids. 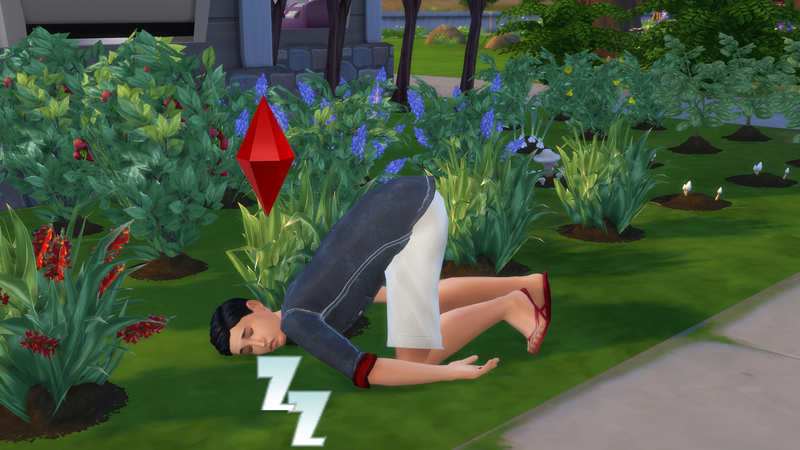 I’m worried he’s gonna die before we finish the required aspiration… yikes! 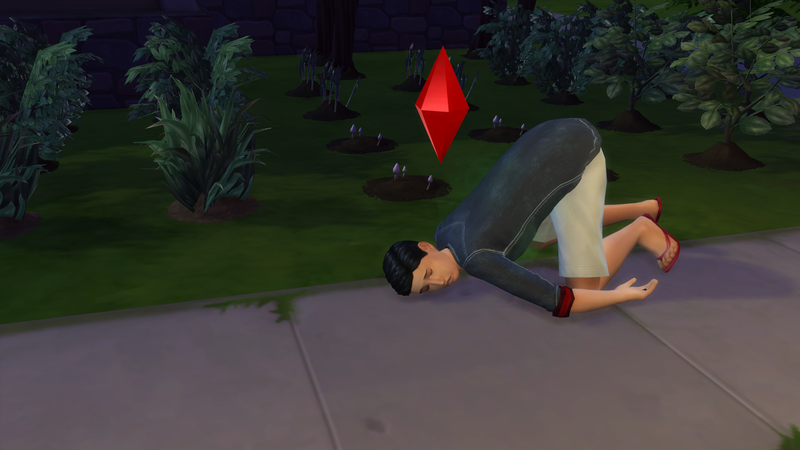 Well, join us next time as we hope to get started on that aspiration before he croaks! 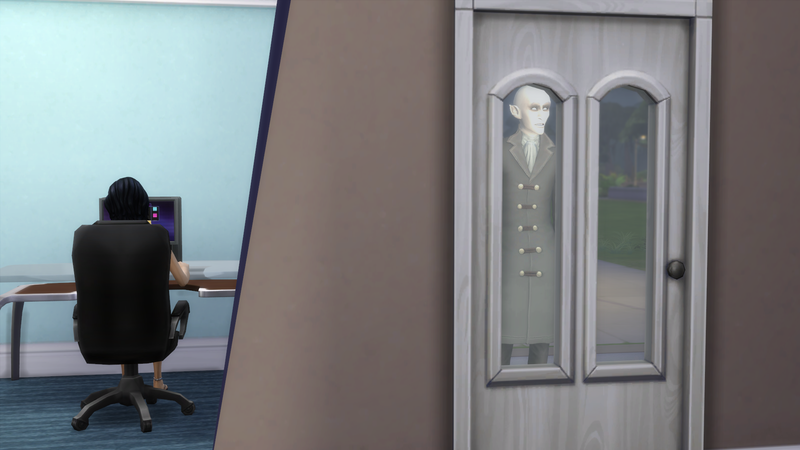 ← Chapter 2.3 – When Did He Get So Popular? Twins! What fun. 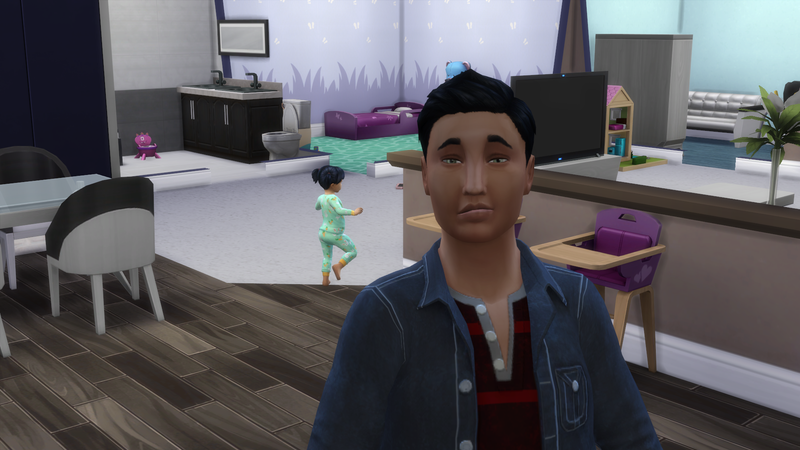 Sorry about the dad dying.. it’s always sad to see the last generation go! I was really surprised! 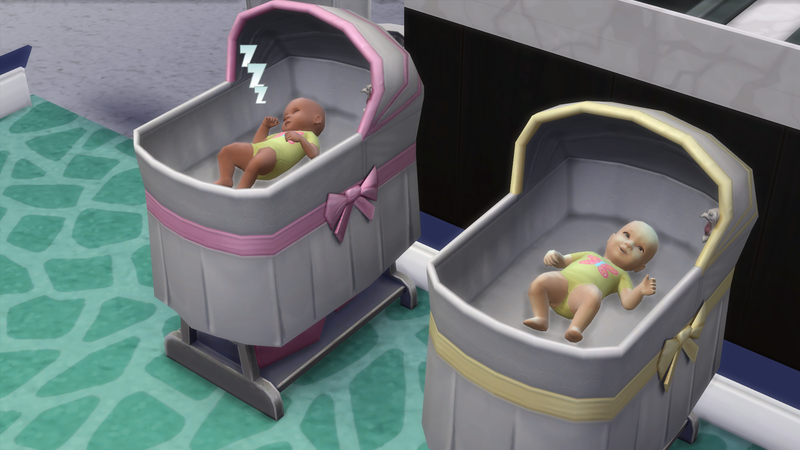 My game had a “single birth only” thing going for a while, so twins was a big surprise! lol! And I’ll definitely miss Aaron around the neighborhood. Funnily enough, he never actually came TO the house, he just liked to fish around the neighborhood. Sad that your founder died. Congrats on the twins!! 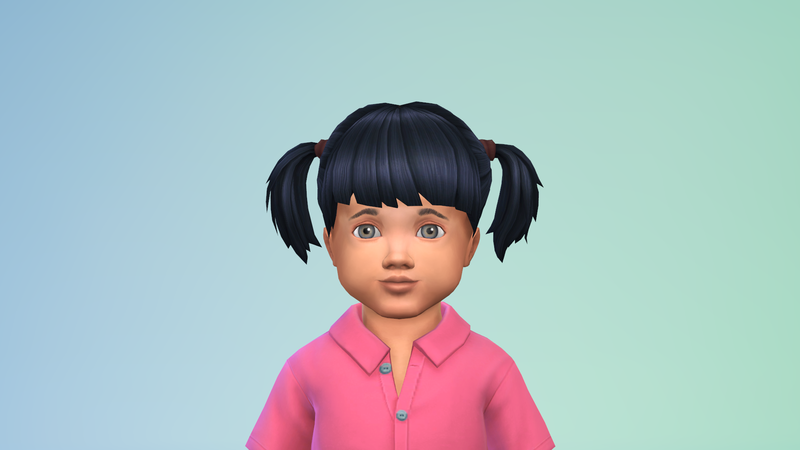 I have noticed more people getting twins lately. Yours sure look adorable! He will be missed that’s for sure. Thanks! 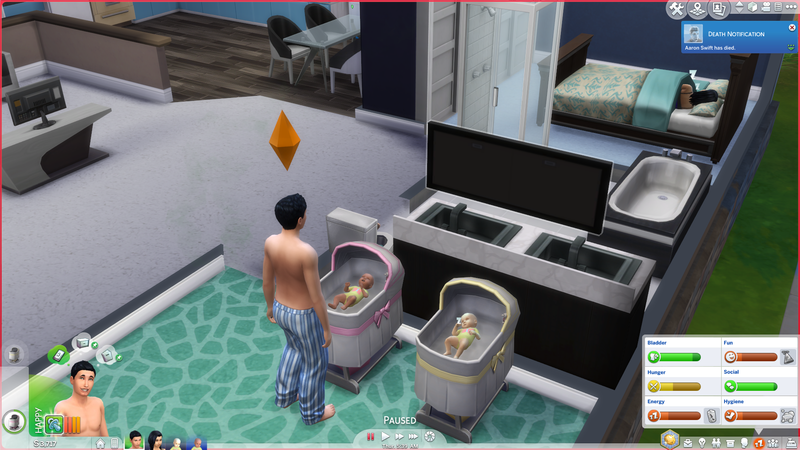 I wasn’t expecting twins at all so it was for sure a surprise! 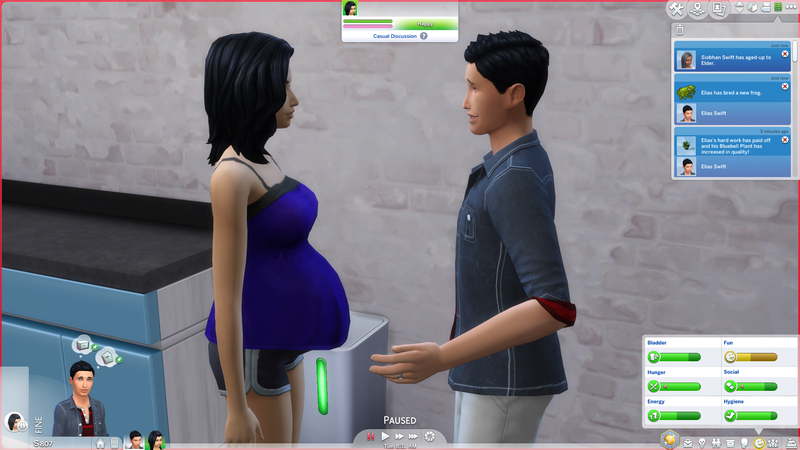 Congratulations on the twins! They look so adorable and I love their names. 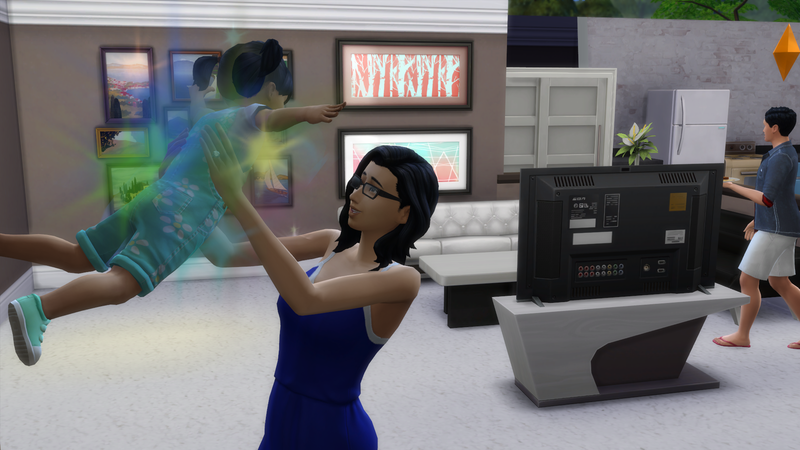 I can’t wait to see them grow up. Saya had a close one there luckily Elias was able to save her. Sorry about your founder as its always sad to see them go. RIP Aaron. 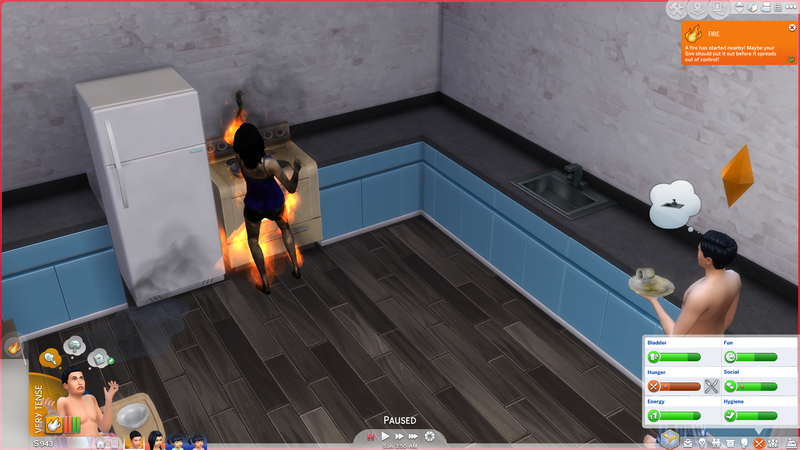 Yeah, I was not prepared for the fire lol. Saya really had me scared for a minute!! I’ll miss Aaron for sure, but his legacy lives on with the twins! Hey you, I nominated you for the Liebster Award! The twins are TOO cute. 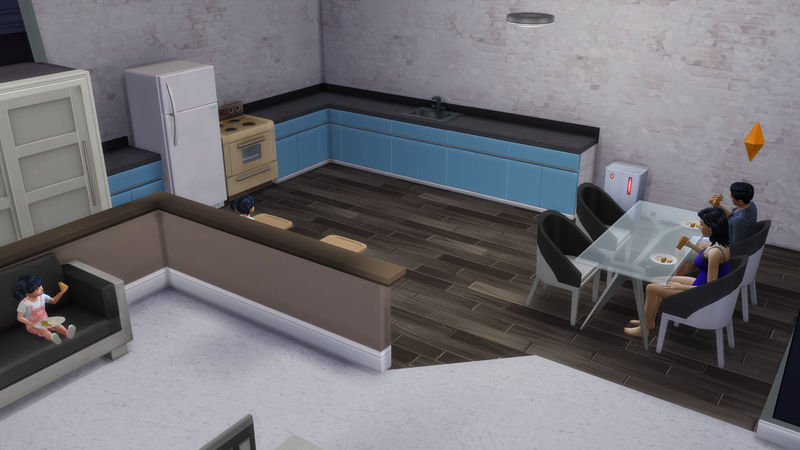 And that’s it, I’m hiring you to decorate and build. 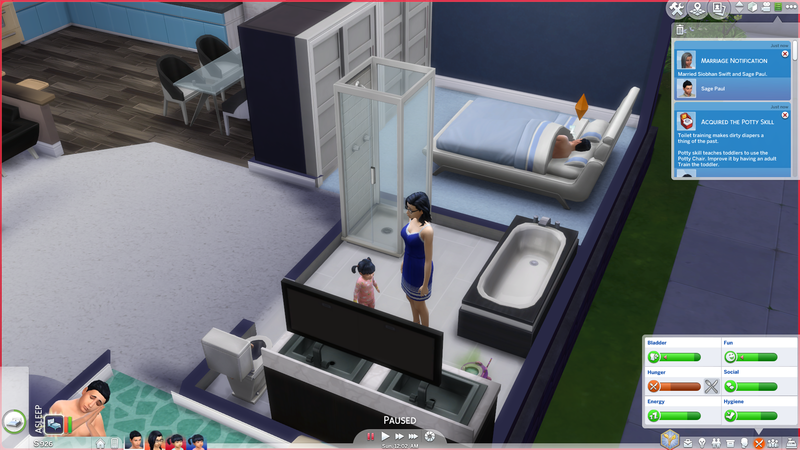 That toddler room is the cutest thing ever.